Black tea blended with coconut and pineapple for a wonderful vacation blend! I love this tea on a cold afternoon. Very soothing aroma and taste. Another of my personal favorite teas! Black tea, coconut, cocoa bits, and almonds make this tea a true delight. Contains nuts. This specially formulated black tea is made for icing! 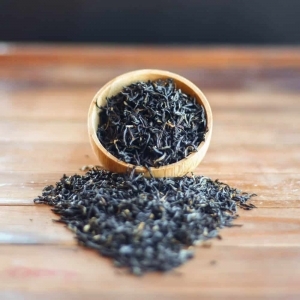 Some black tea blends will cloud when brewed at a high temperature then poured over ice.